You can have every type tool in one implement to take on most jobs. 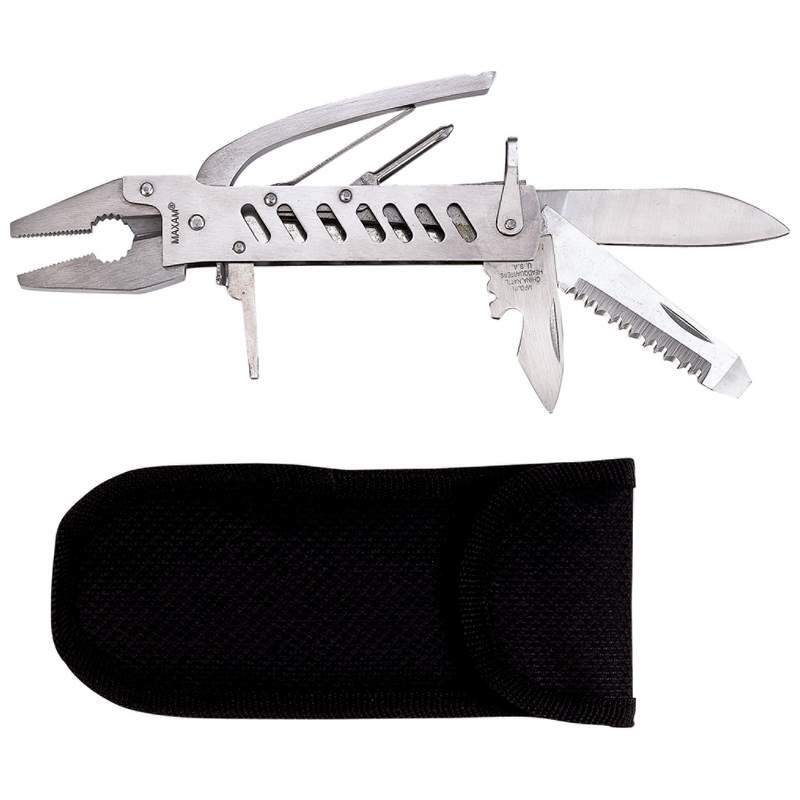 Made from 420 stainless steel it features needlenose and regular pliers, handle and pry bar, wire cutter, 2 wire strippers, Phillips screwdriver, 2 flathead screwdrivers, file, small blade and large drop point blade, serrated blade, bottle opener and heavy-duty Kelvlon™ sheath. Measures 5-7/8" closed. Limited lifetime warranty. Gift boxed. This item is NON-engravable due to the style.